Every October the CPT hosts a theology conference in Chicago. 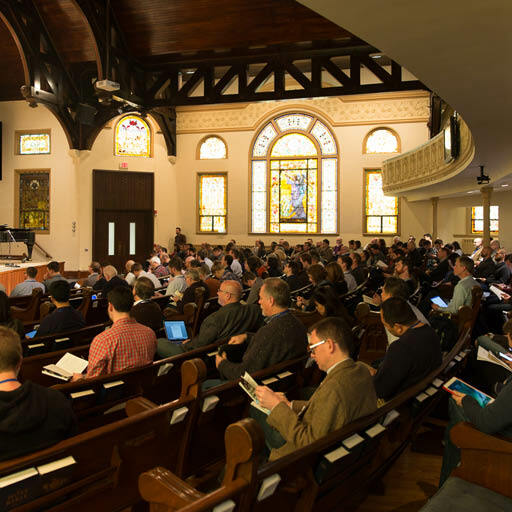 View media from our most recent conference on spiritual formation. Learn more about published CPT resources including our IVP Academic conference series, the Bulletin of Ecclesial Theology, and The Pastor Theologian. 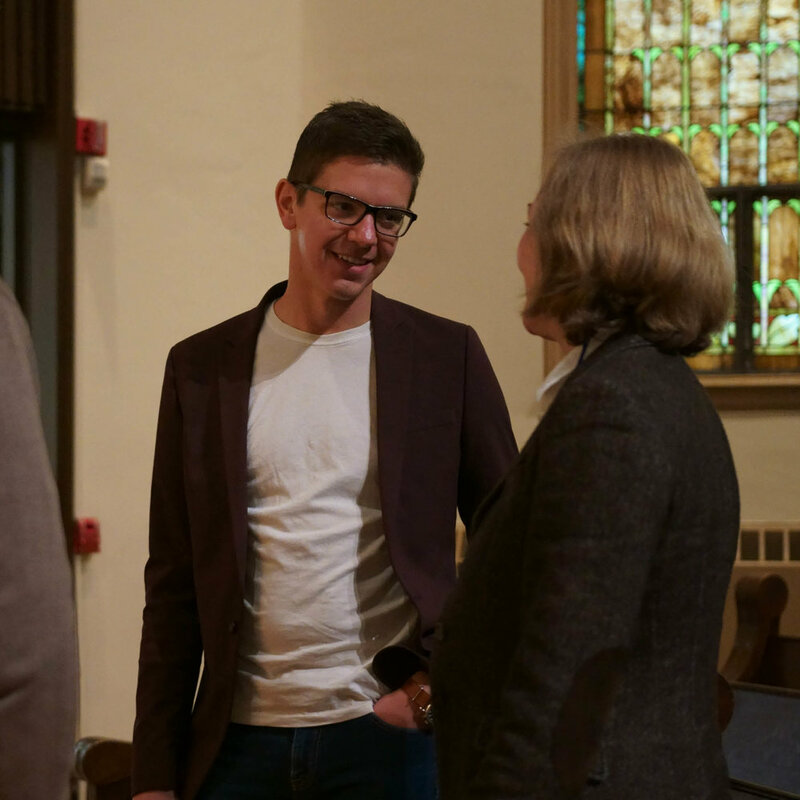 The CPT hosts four pastoral fellowships, each of which meet annually to assist one another in the writing of ecclesial theology on behalf of the church. The modern world presents Christians in general and pastors in particular with many profound and complex questions related to a biblical vision of and for technology. The rate of technological advancement in human culture has accelerated significantly in the last 200 years, and then accelerated again in the past 20. How should Christians think about smartphones? Artificial intelligence? Genetic technologies? Multi-site church? Virtual reality? Contraceptive technology? Social media? The 2019 CPT Conference will seek to address these questions through the lenses of biblical wisdom, the historical Christian tradition, modern sociology, and ministry praxis. We invite you to join us. Each of our four CPT fellowships is meeting over the 2017–18 academic year to discuss this year's symposium topic: Theology After Darwin. Each symposium will take a different angle on the recent history of theological reflection, including Christology, theological anthropology, the atonement, and original sin. Theological consultants include Daniel Treier, Marc Cortez, Todd Billings, and Oliver Crisp. Papers presented at these symposia will be published in volume 6 of the Bulletin of Ecclesial Theology in 2019. This volume includes essays and presentations from the 2017 CPT conference on the doctrine of creation. Contributors include Andy Crouch, Todd Wilson, John Walton, Deb Haarsma, Greg Waybright, and many more. The doctrine of creation is crucial to the Christian faith, but it has often been maligned, misinterpreted, or ignored. Some, such as pagan philosophers and Gnostics, have tended to denigrate the goodness of the material world. More recently, new questions have emerged regarding human origins in light of the Darwinian account of evolution. What does it mean today to both affirm the goodness of God's creation and anticipate the new creation? Based on the third annual CPT conference, this volume brings together the reflections of church leaders, academic theologians, and scientists on the importance—and the many dimensions—of the doctrine of creation. Contributors engage with Scripture and scientific theory, draw on examples from church history, and delve into current issues in contemporary culture in order to help Christians understand the beginning and ending of God's good creation.